TotalPond's Fountain Cleaner Tablets are non-toxic tablets that dissolve and emit a blend of beneficial bacteria and natural barley. Available at The Home Depot. TotalPond's Fountain Cleaner Tablets provide a natural treatment to keep your fountain clean and beautiful. When used at the right dosage, these non-toxic tablets dissolve and emit a blend of beneficial bacteria, enzymes, and natural barley, which help break down waste and other pollutants. Each tablet treats up to 50 gallons of water and works for up to 2 weeks long. Fountain Cleaner Tablets contain a blend of beneficial bacteria, enzymes, and natural barley that help promote a healthy aquatic environment. 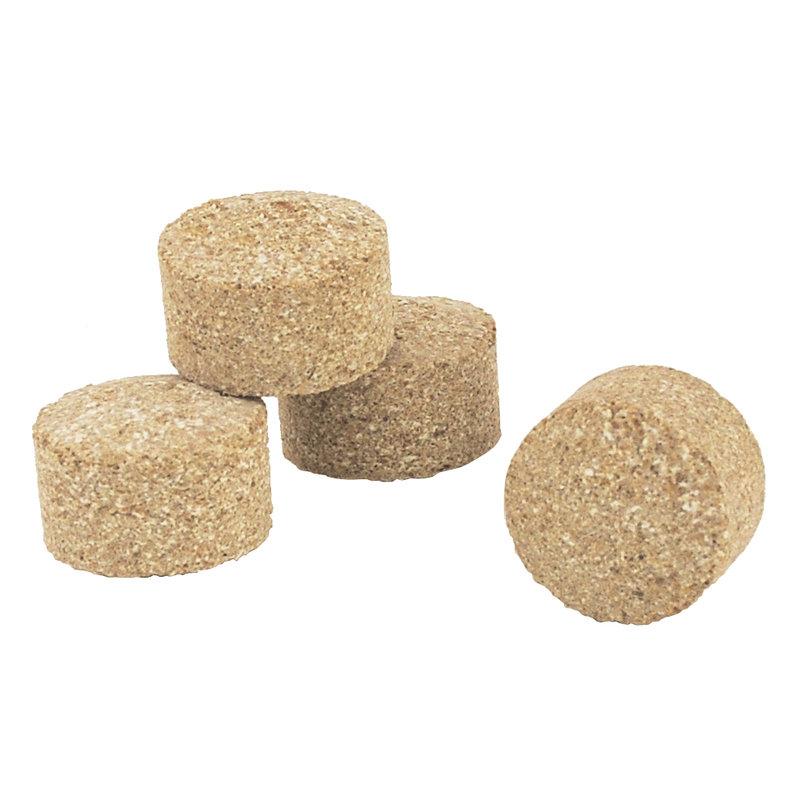 Fountain Cleaner Tablets breaks down fish waste, phosphates, nitrates and other pollutants. Includes 4 tablets that each treat up to 50 gallons of water and work for approximately 2 weeks. This item is designed to be used as a part of a regular maintenance program, with monthly dosing as directed on the label.